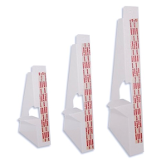 Great for point of purchase displays, easels are available in several sizes and in single or double wing. Single wing come with adhesive applied and ready to use. 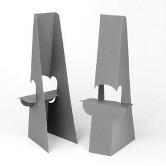 The double wing easel backs are available with foam tape or without tape so you can use your own adhesive.